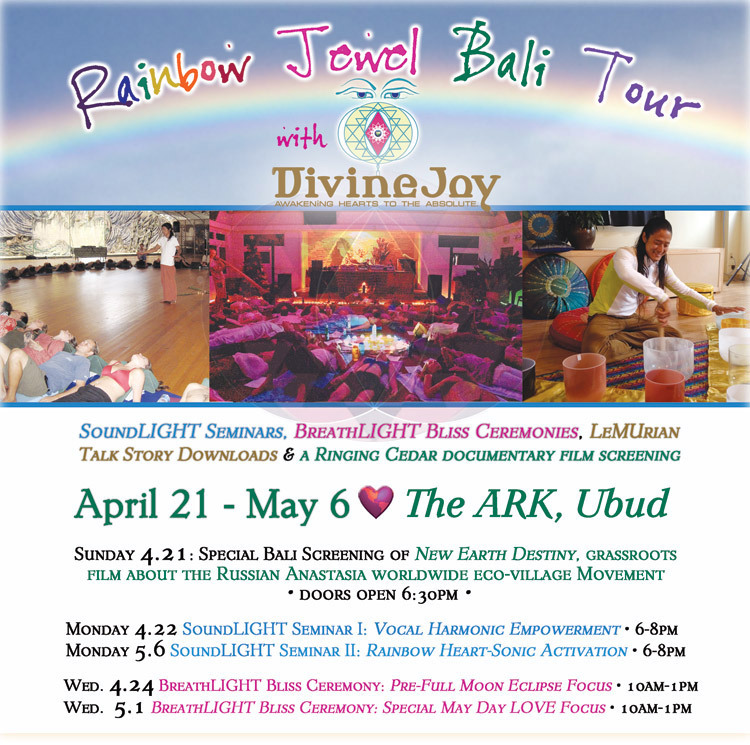 JOIN Mikael of DivineJoy.org as he offers his Inspirational Grassroots Russian Eco-Village Film, SoundLight Seminars, BreathLight Bliss Ceremonies, and Talks Story about the Rainbow Lemurian Love Bridge expanding all around this New NOW EARTH Time. An Intimate Bali Film Premiere & Talk Story. Featuring the only documentary film about the 25 Million + Global Russian Anastasia reader phenomenon that is continuing to take the eco-village world by storm & inspiring us to BE THE NEW EARTH DESTINY! In this First Sound-LIGHT Seminar, participants will connect with their fullest potential self through the natural celestial spectrum of the human voice. The Empowerment begins by learning to chant basic fundamental tones starting with the Universal Vowel System. From that foundation participants will move to different vocal exercises in order to create and experience the flute-like overtone chants. Mikael will share simple but profound vocal tools to ignite your heart, voice, and whole body sonic intelligence. In this Second Sound-Light Seminar, Mikael will intertwine a special rainbow series of crystal bowls, sacred instruments, and his multiple octave voice to co-create an epic unforgettable “Rainbow Heart-sonic Now” soundscape journey. Participants will learn how to create harmonies, alchemical sonic wobbles and crystal overtone magick! We will also skillfully integrate & build upon the Universal Vowels as Mantra practice in conjunction with the Crystal Alchemy Bowls. Unlike the traditional yogic pranayama breath control methods, this shamangelic tri-level breath process focuses on a continuous rhythmic breath-flow. Mikael co-creates a vibrationally charged sacred heart space, where guided meditation, harmonic sound, acupressure body mapping and dynamic body movements prepare the group for the deep transformational journey into BreathLIGHT Bliss! First Full Moon Eclipse of the Year! Unlike the traditional yogic pranayama breath control methods, this shamangelic tri-level breath process focuses on a continuous rhythmic breath-flow. 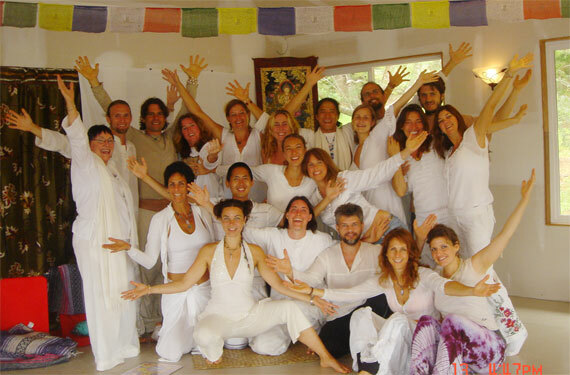 Mikael co-creates a magnetically charged sacred heart space, where guided meditation, harmonic sound, acupressure body mapping and dynamic body movements prepare the group for the deep transformational journey into BreathLIGHT Bliss! A Day to Celebrate the Rites of Love, Fertility, and Sacred Spring Union! Brazil. Mikael joyfully thrives on the Northshore of his Emerald MU home isle of Kaua’i, Hawai’i.